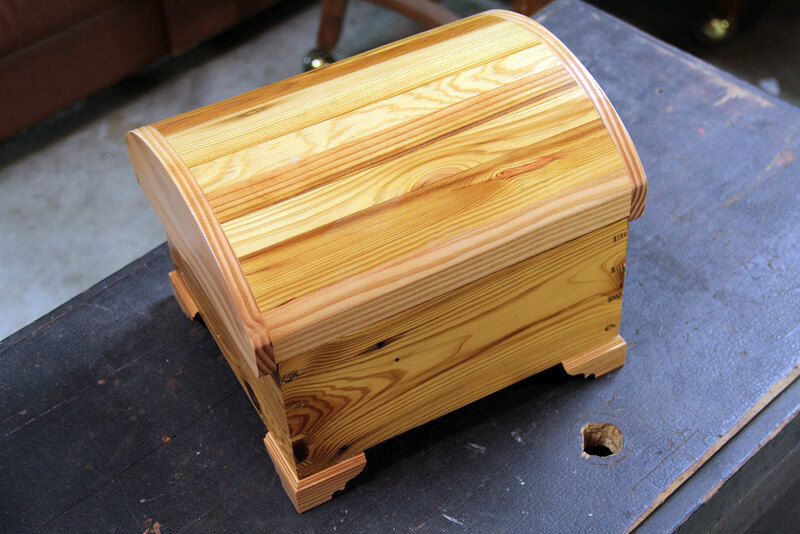 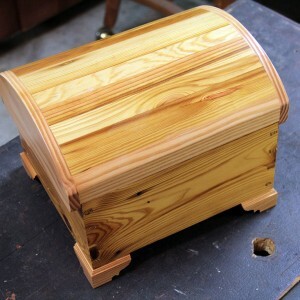 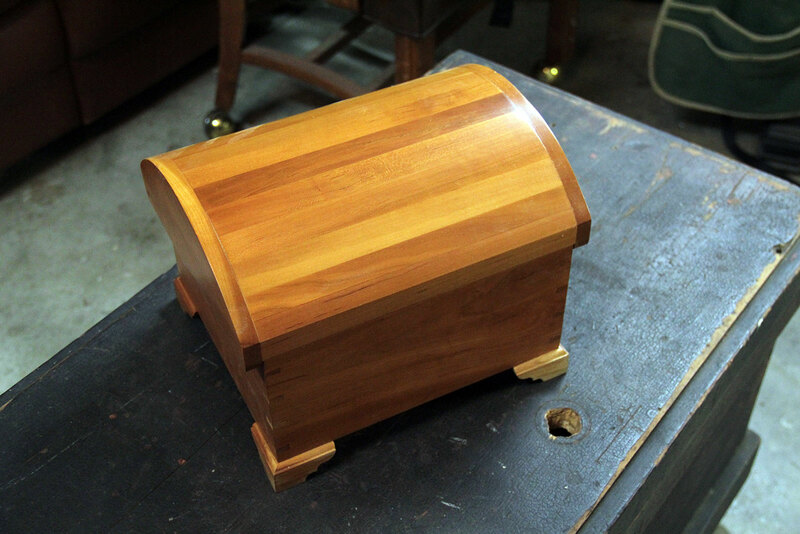 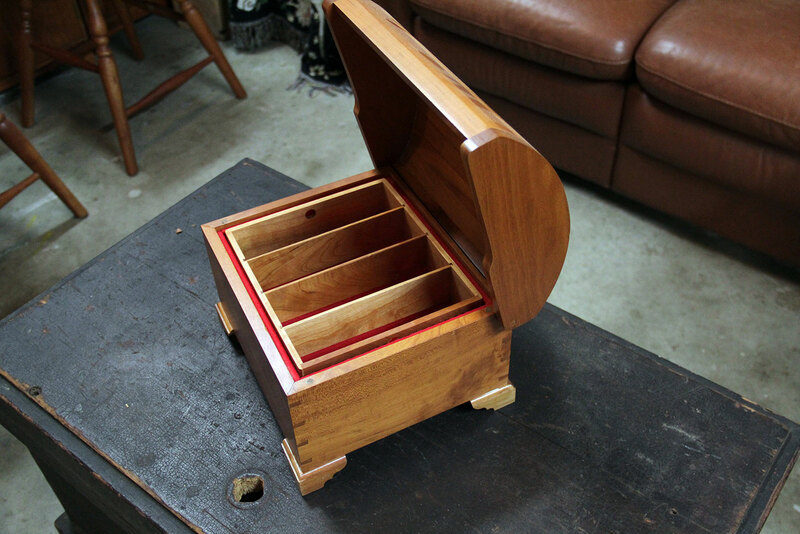 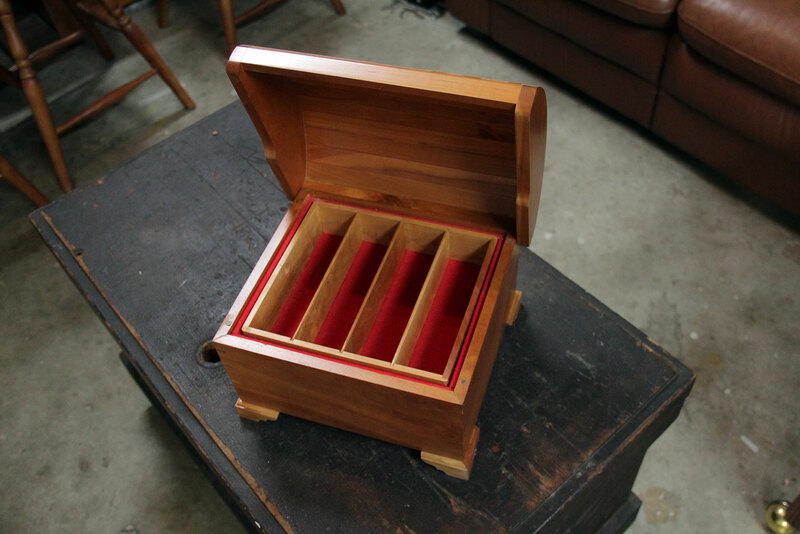 Our Cherry Collector Chests are hand-crafted with care and come with storage slots for your RH Jensen duck calls. 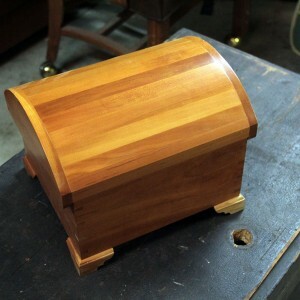 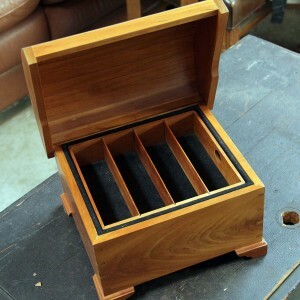 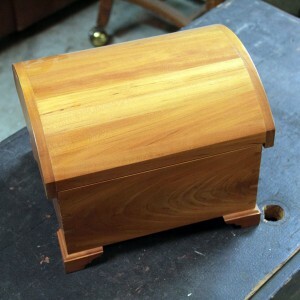 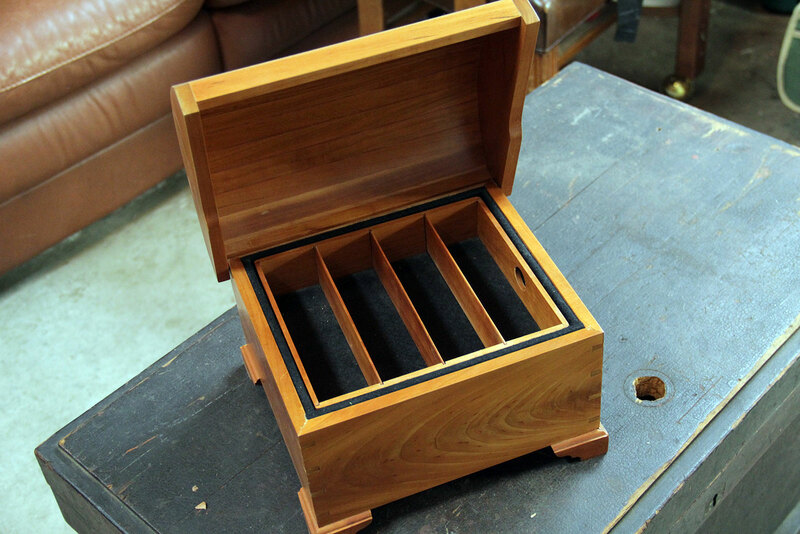 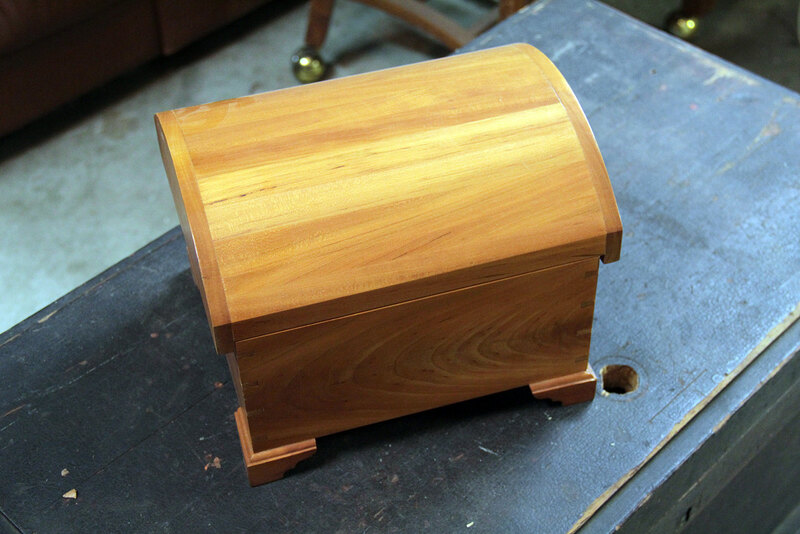 The boxes feature dovetailed ends and come with black, green, or red felt on the interior. 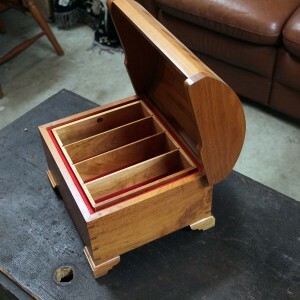 If you have a preference for the interior color, please let us know when you place your order. 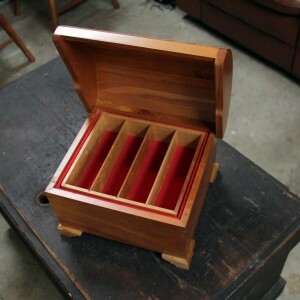 But please note that The ‘Stache covers the interior of the boxes at random, and not all felt colors are available in stock. 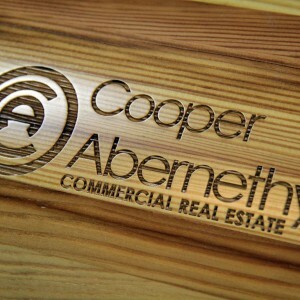 If your color choice is not available, we will let you know. 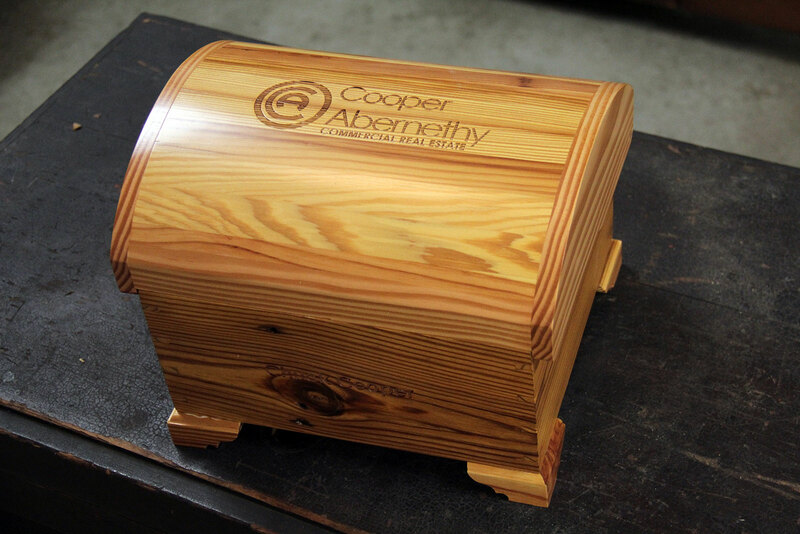 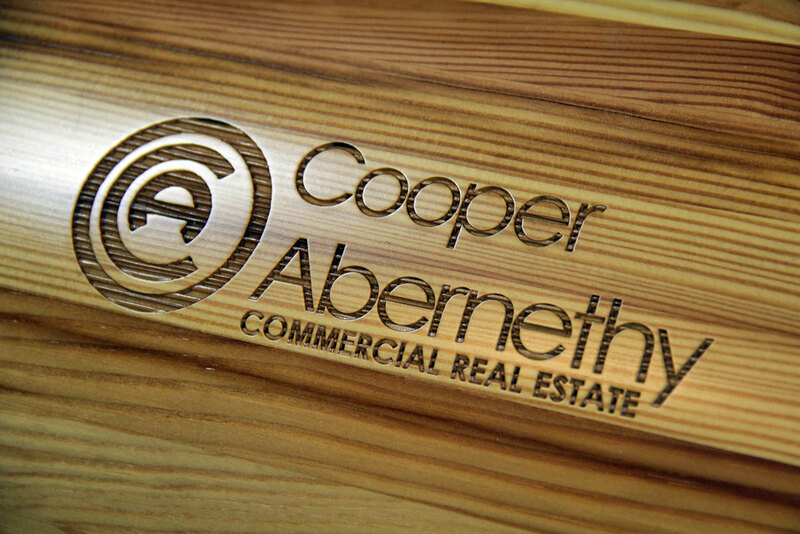 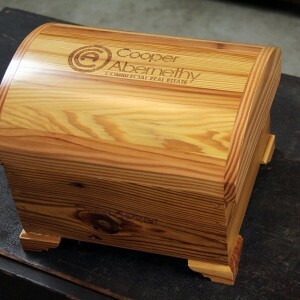 You can also have a custom logo or message laser engraved on your box for an additional fee. 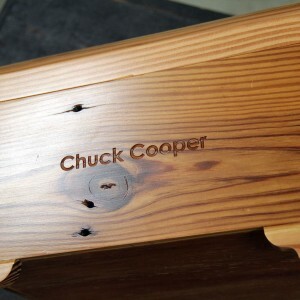 Please contact The ‘Stache for more information. 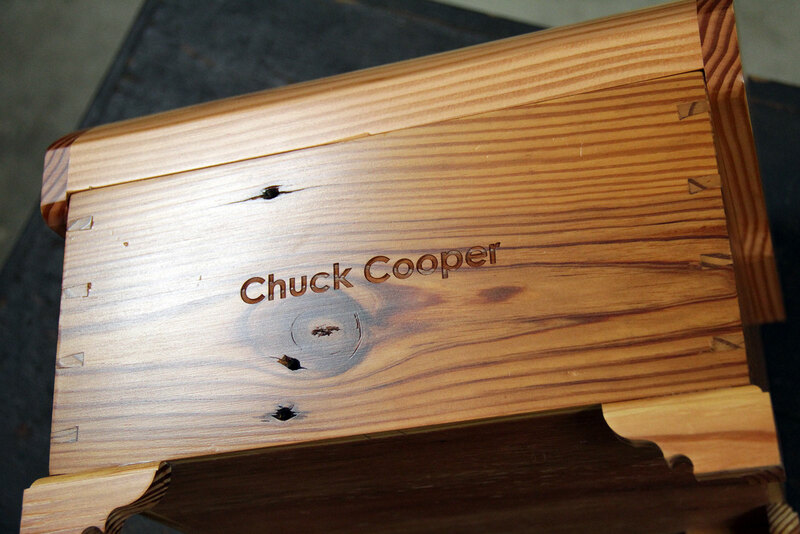 Also, please note that the images in our gallery that feature the custom laser engraving of a box made from heart pine, not cherry.